Published July 2, 2015 at 1600 × 900 in Tanzania17. 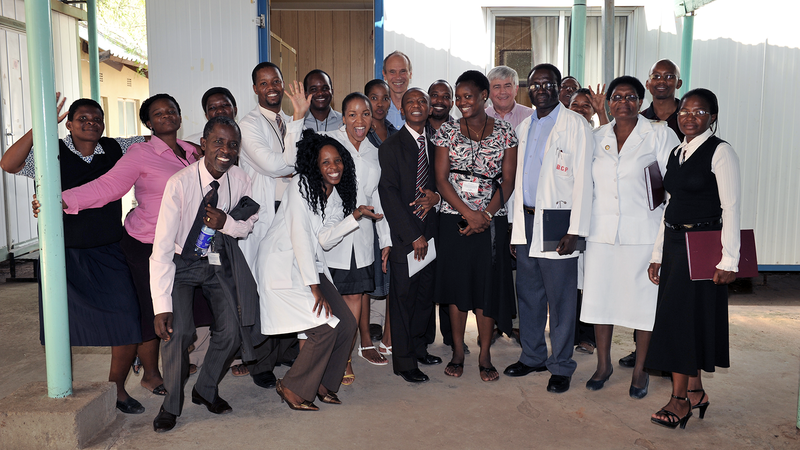 BHP leaders and staff at the Mochudi clinic enjoyed a light moment. Several BHP studies in HIV prevention are conducted at the clinic, including prevention of mother-to-child transmission of HIV, infant circumcision, and the community-wide Mochudi Prevention Project.